Karly's Creations: Inspired by... David's Tea! This week's photo was selected by Charissa, a selection of David's Tea mugs! Love those mugs and I love your card, Karly! The pop of blue is fabulous with all those fall colors. Thank you for joining us at The Paper Players! What a fun, cute inspiration photo and I love how you interpreted it! Lovely fall card! 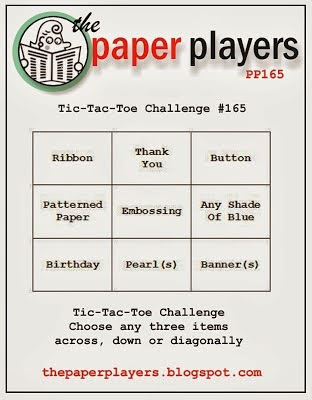 So glad you could play with the Paper Players this week!